Equus is a unique, non-verbal, heart-expanding relational experience where a horses mirrors your state of being. As your partner, the horse gently reveals your unconscious expressions and behavior patterns. They are extraordinary guides walking with you on your journey home to love. So, are you ready to lead with more compassion and see how you show up in your relationships? Let the magnificent horses show you the way to invite clarity, ease and play back into your life. Are you feeling a bit stuck? When you step into the round pen with a horse you will experience true and honest feedback for the way you communicate and lead your life. Please join me for a transformative, magical experience with horses and let them show you the way to listen for the wisdom of your heart. Horses show you in a gentle, honest, non-judgmental way, how you express yourself. They have no stories and provide a beautiful biofeedback system. They reflect back to you parts ready to be seen, felt, heard and embraced. Horses tune into the emotions expressed through your body. If you attempt to lead from a place of fear, control or bribery they will either leave you or attempt to lead you. When you lead from a place of ease, gratitude, joy and clarity, you become magnetic and they will want to connect with you at the precise moment you connect with your own heart. 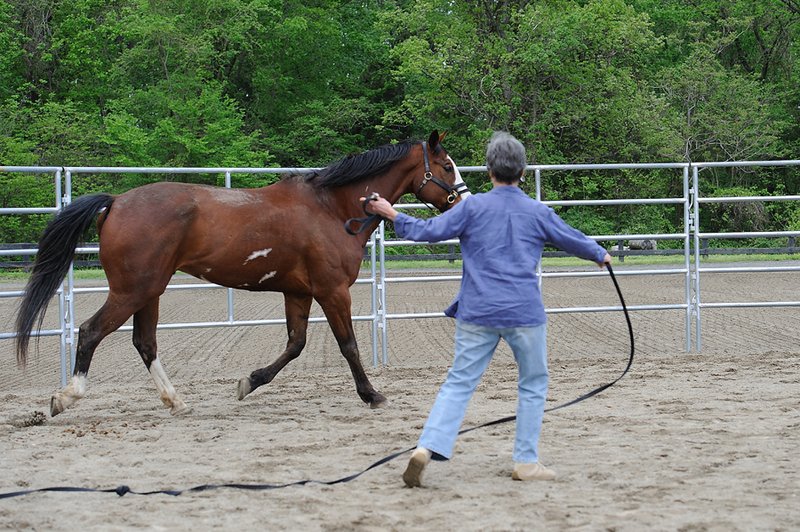 You will have the opportunity to make profound shifts in the way you see, listen, feel and create in your life through exercises with a horse! Your visceral experience anchors in a reference point in your body to access as you implement and integrate your new awareness. Personalized implementation strategies to integrate your new awareness into your daily life and relationships. You will be coached with a horse and witness others being coached. The horse activities all take place on the ground, there is no riding. Drinks and snacks will be provided. An ice chest will be available if you would like to bring your own specialty items. Please dress in layers as the weather can be both warm and chilly all in the same day. Check out this article about “horse whispering,” equus coaching written by my teacher and mentor Martha Beck in O Magazine. Meet Your Therapist. He’s Wise, Compassionate…and Likes to Eat Hay. Also, please email me with any additional questions. While the horses provide a gentle and powerful mirror to access your innate wisdom and true magnificence, you will receive compassionate support as you explore the areas in your life where you feel stuck and confused. I listen and gently illuminate areas that may block you from seeing who you really are and support your journey home to your heart. There will never be another You and no matter what your circumstances, no matter how deep the pain, I believe at the core you are love and that you are safe, loved and supported. It is an honor to witness as you discover and create what you envision. I partner with horses to share the key principals for effective leadership and communication including trust development, healthy boundaries, clarity and the ability to tune into a broader range of communication beyond words. I have been give the unique opportunity for deep practice and integration as a parent of a pre-verbal, energetically sensitive child often described as autism. 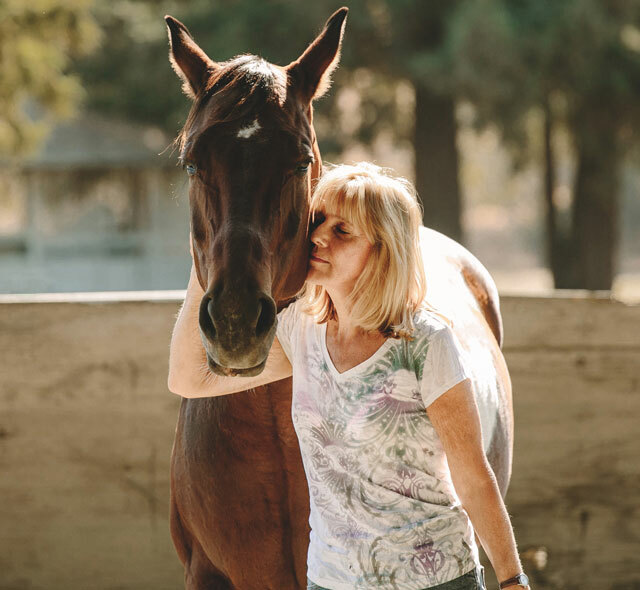 The professional details include a degree in computer science from Cal Poly (BSc), Master Equus Facilitator and Equus Coach through the Koelle Institute for Equus Coaching, Master Certified Martha Beck Life Coach and Mind-Body Coach. I am a student of Dr. Joe Dispenza's work, Byron Katie's work and of life. My passion for neuroscience and relationship patterns informs my method of coaching. I also have had the honor to guest lecturer for Stanford and Santa Clara University students. I currently reside in Los Gatos CA with my husband and two beautiful sons. Because of the expense of running an equus event, full refunds will be made if there is someone to fill your spot or for cancellations more than 30 day prior to the scheduled event. 50% percent of the registration fee will be refunded for a cancellation made more than 15 days prior to a scheduled event. A canopy will be provided for shelter from weather, both sun and rain and the round pen is uncovered. If the event needs to be cancelled due to extreme weather and heavy rain or unforeseen circumstances, you will be given the option for a full refund or to allocate the funds to a future event or private equus session. Interested in a Private Equus Session?